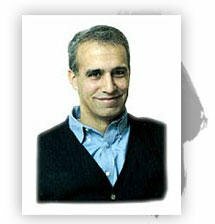 Rob Ricigliano is Systems and Complexity Coach at The Omidyar Group. Prior to this position, Mr. Ricigliano was co-Director of the Masters Program in Sustainable Peacebuilding and Director of the Institute of World Affairs at the University of Wisconsin, Milwaukee. He is also a former Executive Director of the Conflict Management Group and served as an Associate Director of the Harvard Negotiation Project at Harvard Law School. He served for 19 years on the Board of Directors, including most recently as Chair of the Board, for the Alliance for Peacebuilding. Mr. Ricigliano has worked with officials all over the world to help resolve conflict. He has worked with political parties in the new Iraqi Parliament and has been involved in peacebuilding interventions in the Democratic Republic of Congo, Afghanistan, Russia, Georgia, Colombia, South Africa, and elsewhere. Mr. Ricigliano served on the first U.S. team ever to teach negotiation at the Soviet Foreign Ministry’s Diplomatic Academy in Moscow and has trained diplomats and other government officials from Africa, Europe, Asia, and North America. He was also selected by the Secretary of the Interior to lead a first of its kind mediation of a land dispute. In a wide variety of corporate settings, Mr. Ricigliano has done consulting, mediation, and training in negotiation, creating a value-based client relationship, and managing difficult conversations. He has worked with managers, executives, sales and marketing teams. He has written numerous articles on peace processes and negotiation. He served as Executive Director of the Conflict Management Group and Assistant Director of the Harvard Negotiation Project. He earned a BA from Hamilton College and a JD from Harvard Law School.